Click HERE to find a wobble cushion on Amazon! Are you looking for a product that can help your child at school during the day and then help you build those 6 pack abs at night? While this is often advertised as a fitness product, it’s actually more beneficial as a concentration tool. 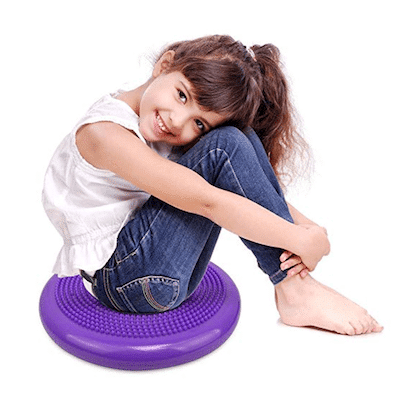 Wobble cushions are inflatable, plastic discs that force you to engage your core while sitting. As you can see in the video below, these cushions continually force you to find your center of balance in order to stay upright. Sitting on a wobble cushion is similar to sitting on an exercise ball, albeit more discrete and portable. 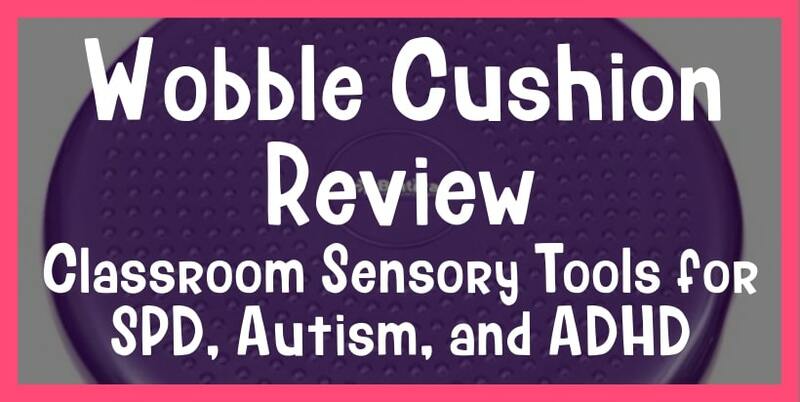 There’s no question that sitting through the school day can be challenging for our sensory seeking kiddos. That desire to move and find sensory satisfaction is just too strong! Similar to fidgets, these wobble cushions allow for movement in the classroom that is non-disruptive whenever a child desires. By encouraging “active sitting,” children must constantly adjust their positions and engage their cores in order to stay seated. Not only does this promote good posture, it also provides kids with essential sensory input that they would otherwise be lacking if they were simply sitting still. While the bumpier side is supposed to be down, if kids want more sensory input, they can always put the bumpier side up Further contributing to the sensory experience, wobble cushions have a side with raised bumps that kids can use when they feel that they need extra input. Similar to foot bouncers, wobble cushions can be a God send to teachers that have sensory seeking students that struggle to sit still. Products such as these are a win-win, as they allow students to satisfy their movement needs while not disrupting the class. 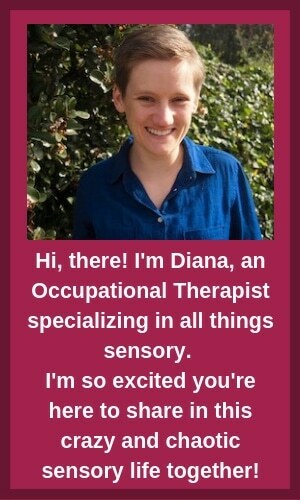 As I explained in the doodling blog post, physical movement combined with auditory processing or visual processing may actually help your child concentrate and learn more effectively. And, one cushion can last your child’s entire school career, which is always a nice perk. As always, be sure to check in with your child’s teacher prior to implementing any tool into the school day. The only downside of the wobble cushion is that it has bumps on both sides of it. I wasn’t able to find one with a smooth side like in the video. Yes, the bumps on one side are more raised than the other, which allows children to control the amount of input they receive. However, I would have liked to see a completely smooth surface on one of the sides of the cushion in order to appease our tactile defensive kiddos that struggle with textures. If your child is tactile defensive, but would benefit from a wobble cushion, try putting a blanket over the cushion. Even with the extra padding, a wobble cushion will still be able to wobble enough to provide movement and encourage active sitting. I was able to find a wobble cushion that comes with a cover if you anticipate that your child would struggle with the bumps. 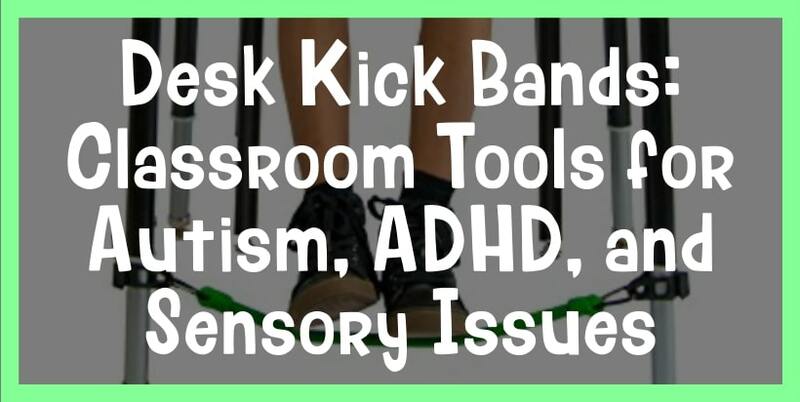 Desk kick bands are another great tool for helping students focus! Check out my full review of them to decide whether wobble cushions or desk kick bands are the better choice!